Yesterday was an outdoors day for me. The temperature was just perfect for digging and mowing grass. I hadn't mowed the backyard yet because it is mostly in the shade and the grass doesn't grow very fast. Now the whole yard is mowed. 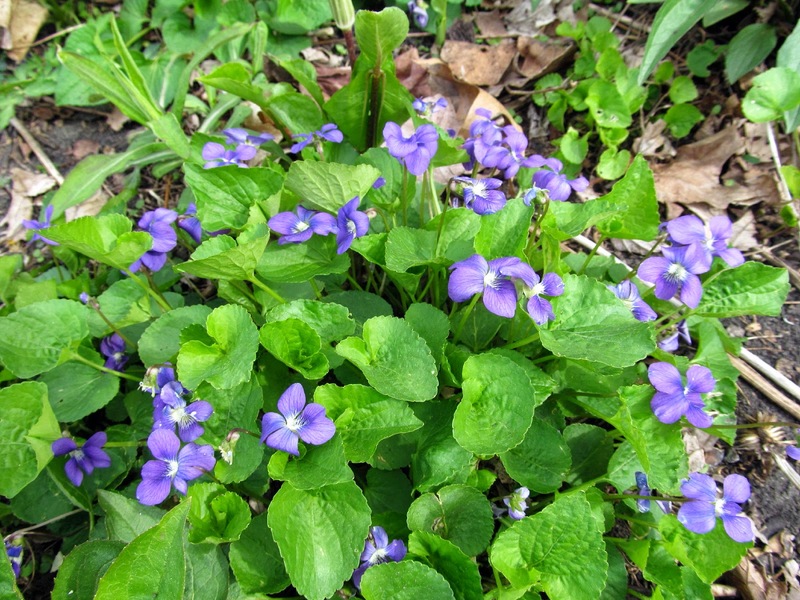 The violets are growing all over the back garden and in the grass. 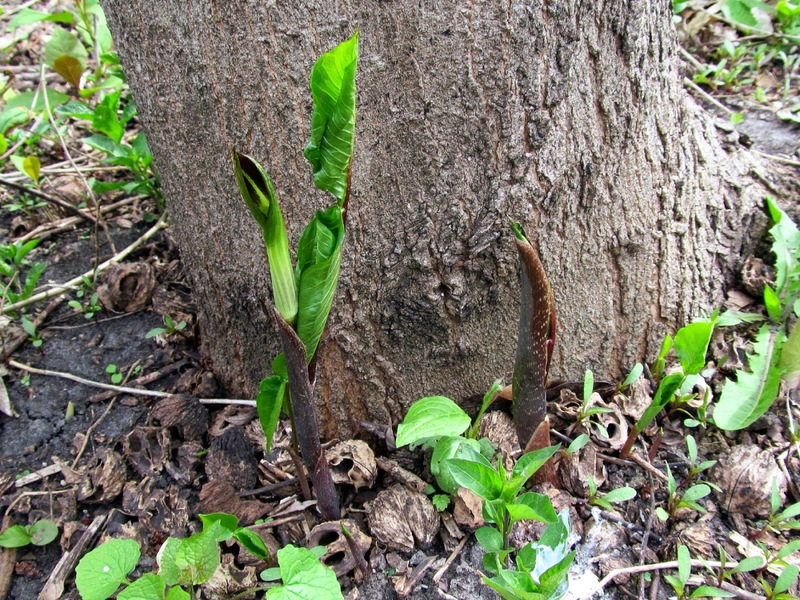 The Jack-in-the-Pulpit has started poking out of the ground. This is one of the tallest ones. Here is another whole batch of Jacks. This area was still under leaves so I partially cleared it. The Jacks usually grow in the forest and are used to poking through leaves and other vegetation. 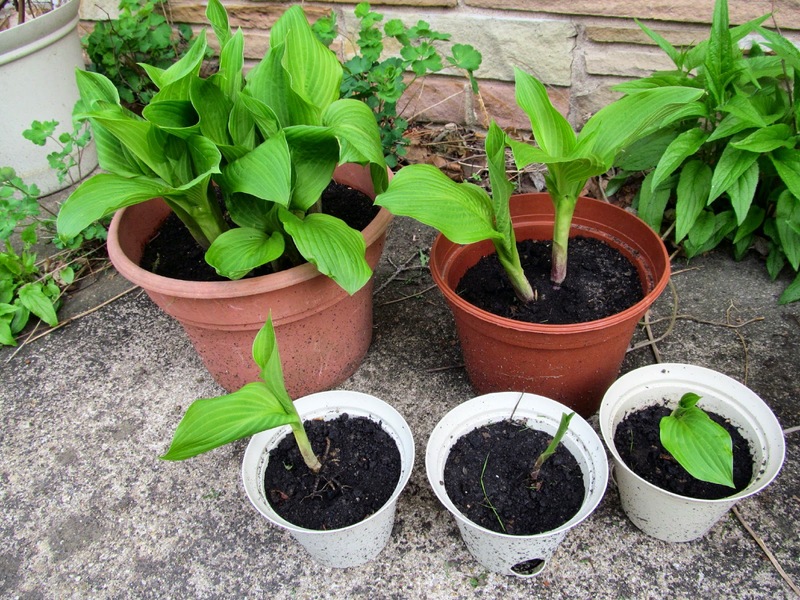 I was sharing some Hostas with a friend so I have been digging up the ones that needed to be moved or divided. The babies along the edge of the roots are pulled off and planted separately. There were several that were just too large to stay where they were. I gave my friend the large part of this plant and kept the 3 baby sections. 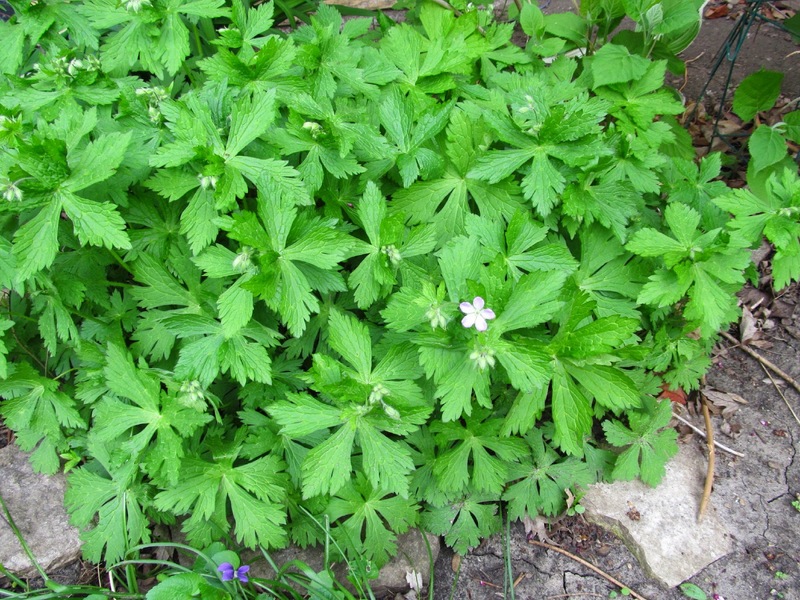 This the first Cranesbill that is blooming. It has lots of buds. The flowers are a very pale pink. And speaking of pink, my nine redbud trees are in full bloom now. 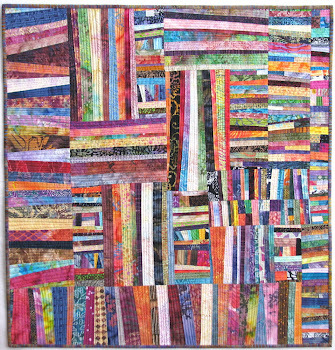 Last night I started cleaning the basement for the art quilters who are coming Monday. I put away several stacks of fabric and started vacuuming. I was in my garden yesterday too. My yellow iris from my grandmother's garden are blooming as well as my lily of the valley, one of my favorites. Columbine in several colors were out and I could see that most of my perennials are coming up good. I love gardening though it can be hard work. 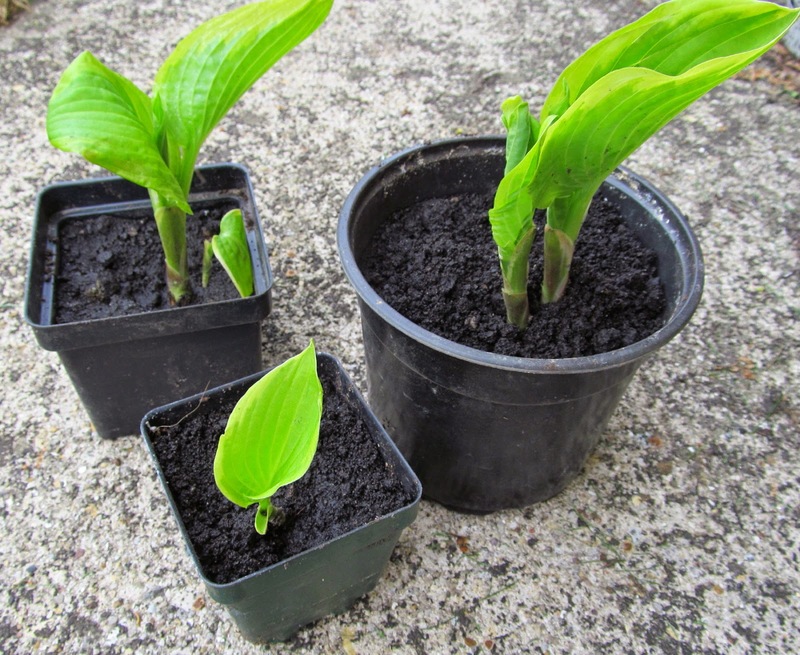 My hosta are doing good too. 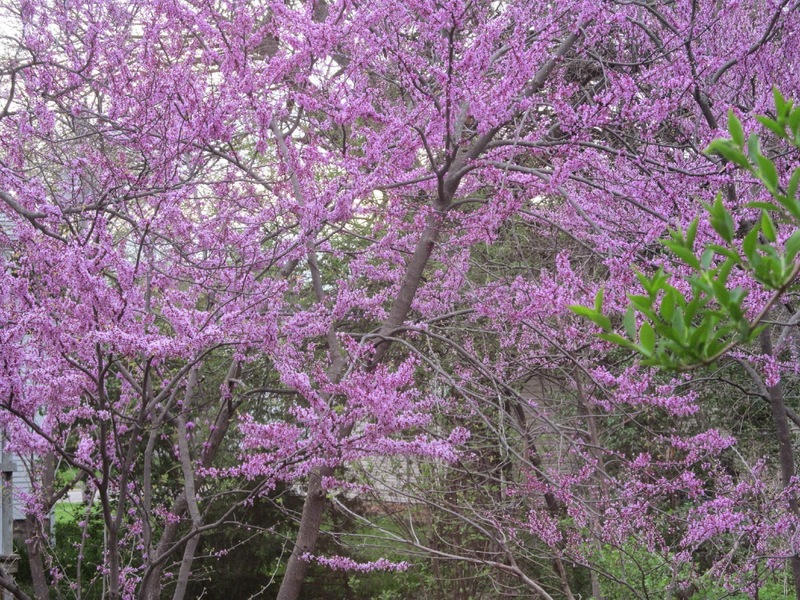 Love your redbud trees, aren't they beautiful ? How fun to see your garden. Nice redbud, too! It must be such a welcomed sight to see everything coming back after the long winter. The redbud is a gorgeous sight. I love this time of the year with all the blooming going on. Love those violets, one of my favorite. I would love to have a garden like yours although at my age am glad that I don't. 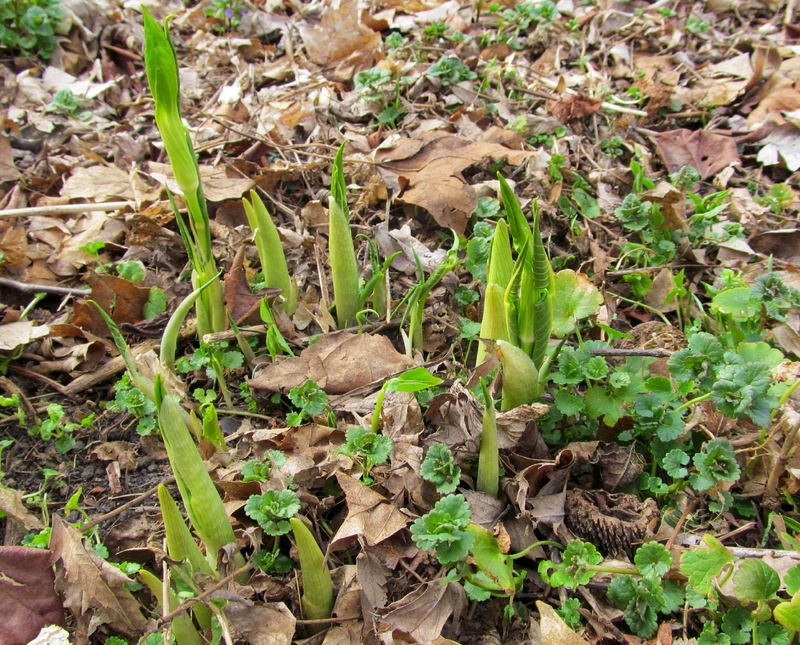 Pretty soon the lilac's will be blooming and my favorite Lily of the Valley. Everything looks so beautiful and smells so wonderful. Enjoy the day. I have planted a redbud at each of our last 4 houses (spanning nearly 35 years) as it's the state tree of Okla. where I grew up (not to mention how much I LOVE them). Yours are gorgeous! 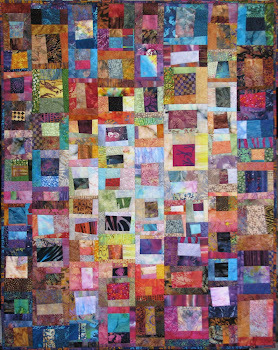 Nice look at your yard. Ooo...I love redbuds. We have 8 pink crabapples (used to be 9, but some driver went off the road, hit & killed 1)that bloom gloriously in Spring. They are all done now, but the lilacs are still in bloom for a few days. I do have redbud envy now though. We had one at our previous home which didn't do well & is no longer there. Our neighbor has one though, so I get to enjoy it from a distance. Enjoy the good weather while you can.